If one of your resolutions for 2008 is to get more organized, this handy little tool is sure to help your motivation. It's a calculator to help you determine the impact of wasted time -- in terms of the financial impact it causes! "In job search, the interview is everything." Write down and practice your response to typical interview questions. Be sure you're ready to respond to these and other Frequently Asked Interview Questions (FAiQ). Each question is an opportunity. You need to know how to structure your answers. Having a template (or framework) helps you respond to any FAiQ. Interview Mastery shows you exactly how to handle FAiQs with fill-in-the-blank templates and structured response strategies. Interviewers are more impressed with your questions than any selling points you try to make. Create questions before each interview that you'll ask. When the interviewer asks if you have any questions just take out your list. Your questions should start with “What” or “How”. The following are examples of questions you can ask. Be as company and industry specific as possible when creating your own questions. - What are the reasons driving the need for this position? - What are the three top challenges that I'll face in this job? - What are the key metrics for measuring success in this position? - How do the position's responsibilities align with the department's goals? Ask one “opening“ question at the start of every interview. -- Interview Mastery is the job interview program for candidates covering more than 50 interview topics and situations. The program is based on 20 years of research and authored by Michael Neece, the “Interview Master” from Monster.com who has written extensively on interviewing for both companies and job seekers. Interview Mastery is the most widely used program of its kind and used by job seekers in 66 countries. Robert Middleton has been a contributor to Resume Writers' Digest for many years. Now he's sharing a special resource with my readers: A Free "Marketing Plan Start-Up Kit." This Marketing Plan Start-Up Kit will remove the frustration and struggle you may experience with marketing your services. It shows you how to start playing "Marketing Ball." If you have clients and want more of them, the Marketing Plan Start-Up Kit will make it a whole lot easier. The Start-Up Kit includes an 85 minute mp3 Audio Tutorial and 22-page Workbook - everything you need to build a client-attracting marketing plan. It's a step-by-step guide to attracting more clients. No matter what kind of self-employed professional you are, this Marketing Plan Start-Up Kit will help you become a better marketer. To receive your free kit, click here. Guest Author: Will Seminars Get You Clients? Want to make some additional money? Partner up with a group and offer a seminar! You can charge $100 per person, plus materials, for a series of three weeknight sessions, or three Sunday afternoons. The group pays you, with some passing the cost along to members. Some organizations use the program as a fundraiser. Merry Christmas from Resume Writers' Digest. 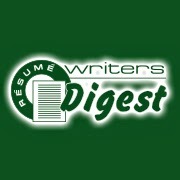 If you find yourself with a little extra time on your hands in the next few days, take a look back at some of our early issues of Resume Writers' Digest (1999 to 2001). While some of the information is out of date (it was 6-8 years ago! ), some of it's still applicable. The article gives a couple of key tips for naming (or renaming) your resume writing business. 1. Plan to accommodate future services. If you are planning to offer more than just resume services, you will need to make sure your company name can encompass a diverse range of services. Thomas P. Gove, president of The Original Resume, faced this challenge in 1988 when he named his company. "I had a vision of creating much more than just a resume company, something different, something unique, something 'original," he says. His company provides resume writing services, permanent recruiting services, and consulting services for businesses. 2. Pick a name that fits your niche. Choose a name that reflects the audience you want to attract, or the niche you want your business to fill. "The name to most people does mean that they will be getting a product that reflects the trends in the marketplace," says Jean Cummings, of A Resume for Today. "People will say, "I wanted a resume for today.' No one so far has interpreted it to mean I will turn it around in one day." 3. Consider making a change if your current business name isn't working. Nancy L. Barker, previously of Busume Resumes & DTP decided to change her business name after she noticed new clients were having trouble with the name. "I think the last straw was when a recent client couldn't seem to pronounce it (even though he heard me say it so many times) and insisted upon saying 'bosom-ay.' Ack!" Here's a link to a previous post on naming your business. "You can deduct many of the expenses related to your job search -- whether or not you end up getting hired -- as long as the new job is in the same field as your current job. The same rules apply when you're leaving the military, as long as you can prove your new job uses the same skills as your old one, says Martin Nissenbaum, national director of personal income-tax planning for Ernst & Young. Find more information on About.com or in IRS Publication 529. Keep extremely accurate records, including a log of whom they meet with (including business cards and copies of applications and letters), where and when they met, and a description of the job." This article originally appeared in the first issue of Resume Writers' Digest. Eight years later, the information is still relevant. Enjoy! Use these guidelines as an informal set of "rules" you can use to keep clients happy with the services you provide. 1. Keep clients informed about the current job market. Be a news source for your resume clients. Let them know what is going on in the overall job market as well as within their own industry. Read career magazines. If you specialize in an industry -- for example, healthcare professionals -- check out industry publications at the library, or take a subscription yourself. 2. Know what's important to clients. Would your client sacrifice an increase in salary for some time off? Are they looking for a job without evening or weekend hours? Having a good idea of your client's prorities can save their time -- and yours -- by weeding out job opportunities that clearly don't match up with what is important to them. 3. Stay in touch. After a year or two, it's easy to lose contact. But you can position yourself for repeat business -- and happy customers -- by keeping in touch with clients even after they've found their dream job. Send out a note of congratulations when they get the job or for birthdays, graudations, and other significant dates. 4. Be punctual. Never be unprepared for a scheduled appointment. And, if you say you're going to send something, do it right then. If you are sloppy with handling the routine details of the resume writing transaction, the client will take that as an indication that you are sloppy in other areas as well. He or she may begin to distrust your recommendations. 5. Confidentiality is key. Sometimes clients jeopardize their jobs simply by preparing their resume. One client relayed the story of a colleague who had submitted his resume "confidentially" to a job fair. It turns out his current employer was participating in the job fair. Confronted with the evidence that he was "job shopping," he was pressured to resign. Don't put your client's job at risk. If you call him or her at work, leave only your name, not your company name or why you are calling -- even if you get the person's voice mail. You can never tell who is monitoring voice mail or e-mail nowadays. Advise your client about confidentiality issues -- such as not responding to blind post office box advertisements or faxing a resume for distribution at a career fair. Change names and identifying details on sample resumes. Destroy draft copies of resumes and don't leave documents out where they can be seen. Following these five simple guidelines can help assure that your client stays happy with you -- and the services you provide. Resume Writer, Career Coach, Recruiter, Executive Agent? There are many types of professionals in the careers industry. While there can be some overlap, I thought it would be useful to clarify the jobs and roles of each professional. Resume writers generally work for individual clients and are paid by the client to develop (and sometimes distribute) their job search documents. Resume writers may refer clients to recruiters, and may be paid a "finder's fee" for those clients, if they are placed. Resume writers may provide career coaching (either paid or unpaid). Some resume writers also do recruiting, although most do it in a "staffing agency" capacity, not as a "recruiter" per se. Career coaches may also write resumes, although there is a definite subset of the profession that believes the client should write his/her own resume, and the coach will help "guide" them in this process. Very few career coaches that I know of function as either recruiters or executive agents. Recruiters, in the traditional model, are paid by employers to find candidates to fill job openings. Some recruiters (also sometimes called "headhunters") will not accept unsolicited resumes from candidates; it is a "badge of honor" for some top-level recruiters to source the really-hard-to-find-candidates -- and these recruiters will find you; you don't find them. Some recruiters will work with resume writers; others see no need for resume writers ("we have our own format we use"). Most legitimate "recruiters" will not charge the candidate a fee; instead, they are paid by the employer. The Executive Agent is the newest type of careers professional. Modeled on the professional sports agent, or entertainment industry agent, these individuals are paid by the job seeker (often a fee of $1000-$5000). The best known in the careers industry is Debra Feldman, although it could be argued that any of the top careers professionals that offer comprehensive resume writing/career coaching/job search assistance/resume distribution services fall into this category. The Executive Agent is not to be confused with the Bernard Haldane model, where job seekers pay a large fee to gain "exclusive access to the hidden job market." Instead, the Executive Agent model is much more proactive and directed, and relies heavily on the agent's network of contacts. I wanted to define these different roles because of a question on one of the professional association listservs about the Top Gun Executive Group. From the website description, it appears the owner, Craig Chrest, is an Executive Agent, although he calls himself a recruiter. It's unclear from the site whether he also collects a fee from the hiring employer, which would put him in a sort of "dual agency" model. In the same way that recruiters are sometimes dismissive of the services of resume writers and career coaches ("If the job seeker was any good, they wouldn't need someone to write their resume; we'd find them on our own"), resume writers (and career coaches) have to be careful not to be too dismissive of "executive agents" just because they charge clients a lot of money. However, I foresee a time in the future when Executive Agents will be compensated like sports agents or entertainment agents ... with a percentage of the client's salary (similar to how recruiters are currently paid). Except, instead of the employer paying, it will be the job searcher. I'm not sure if the sports/entertainment industry standard of 15% will fly in this instance, but Executive Agents can expect to be well compensated for the role they make in helping highly compensated professionals and executives effectively find their next job. "It's practically impossible to sell. Or at least I found it impossible. So I just closed it up. In Rhode Island, there's only one other person who really made a difference in the resume writing market, and she figured she'd get people from me simply because I wasn't there, so she turned [the opportunity to buy the business) down. However, if you're signed up for umpteen months in the Yellow Pages, they have an "Out of Business" office that will allow you not to pay for the remainder of the year if you can prove that you've cut off your phone and are actually no longer in business. It took me a long time to find this out, so I'm passing it on to you." I believe that it is possible to sell your business, and this is a topic that I will be exploring in the future. If you have insight into the matter, e-mail me! (rwdigest@aol.com). Today, I will respond to a reader question. Q. Do you have a possible list of survey questions for me to send to my clients? I would like to get feedback about my business and what improvements I can make. Occasionally, a client sends me kudos, but I would like more specifics. Surveying your clients can be a great way to not only collect testimonials, but also find out how the client's job search is going and identify opportunities for additional services you can provide. I typically use two surveys with my clients: a "How Did We Do?" one initially, and a "How Are You Doing" as a follow-up 2-3 weeks later. I send them both by "snail mail," although you could certainly use an online survey program if you wanted to. Links to download the surveys in Microsoft Word form at below each survey. We recently provided resume services to you. How did we do? What have you done with the resumes? What do you think of your investment in your personal marketing documents? Would you recommend us to friends/family/co-workers? __ Yes __ No __ I already have! Specific mailings? Responded to any ads? (Where did you find the ad? Which company was it for?) Apply for any jobs online? (Which web sites did you use? Which companies did you apply at?) Did you pass any resumes out to friends, networking contacts? What has been the result of the resume services you received (what kind of response have you received -- phone calls, letters, interviews, etc.)?? Labels: Client Survey, How Are You Doing?, How Did We Do? Being a professional resume writer isn't getting any easier. Thanks to the Internet, individuals seeking the services of a resume writer now have thousands of choices instead of a dozen or fewer firms found in the local Yellow Pages. Self-employed resume writers find increased challenge -- or opportunity -- in the leveling of the marketplace. Some establish very specific niches and are able to attract a following from a highly targeted audience. Others compete on price, offering the "low overhead" of country living as an alternative to their more urban counterparts. Many issues identified in the survey are constant from year to year -- the difficult "mechanics of formatting attention-getting resumes," isolation and the challenge of educating clients on job search strategy or resume pricing. Marketing -- getting clients -- remains a top priority, as the balance between writing and marketing shifts more towards the administrative, and away from the creative. Is it enough to make the resume writer hang up her pen? Or will she find a way to win over those new clients? According to the survey, the "average" writer produces four resumes per week, at an average cost of $250. That's $4,000 per month in revenue -- before accounting for marketing expenses, taxes, equipment and supplies, phone and Internet connections, or personal benefits. Even when that income is supplemented with updates and other services (career coaching, career testing, desktop publishing, etc. ), the typical resume writer, after taxes, probably nets around $30,000. Without the in-person appointments, virtual resume writers must work harder to connect -- with each other, with their community, and with clients (both actual and potential). So who is the typical resume writer, and what can we learn about the resume writing industry from this survey? She (respondents are overwhelmingly female) is in her late 40s or early 50s and is self-employed full-time. She has been writing resumes, on average, for 12 years. She works from home and sees clients in person or works with them virtually (by phone, fax, or Internet). More likely than not, she's certified as a resume writer, but also offers job search coaching (but is not certified as a coach). 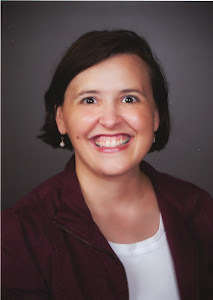 She writes approximately 17 hours per week (including client consultations, research, and writing), and is a member of two or more professional organizations for resume writing. Want to compare these results to previous years? See the 2003 survey results and 2001 and 2002 survey results. Robin Schlinger, CARW, CFRW, of Robin's Resumes, gave permission to share her response to another resume writer's question about writing IT resumes. Prior to becoming a resume writer, Robin was an engineer and a programmer. Engineering and Programming background. It can be difficult to write for some technical folks if you do not understand the technology — and sometimes it is better to find someone who has the experience. However, based on my experience working with these folks, I have found the following tips that have worked for me. The format of the resume and the amount of technical information to include depends on the level the client is targeting and the niche they are in. You need to know that before you attempt to write the resume. If the resume is for someone interested in management (a difficult transition sometimes for IT folks), I actually tone down much of the technical stuff for the managerial stuff, and the resume looks much like a traditional manager or executive resume. I will usually include a technical skills section at the end of the resume. At a senior management or department management level, the IT manager will already have been assumed to have the technical skills and his or her soft skills are much more important. For these resumes, in many cases, I remove version numbers (from specific software applications) unless the client is selling their expertise in a particular product in a senior role (such as SAP business analysts). If a person is at a lower level — up to the level of a Project Manager / Project Leader / Team Leader, I will concentrate on how what they did adds value. I start with a summary, then list the technical skills in great detail (very organized into sections like Hardware, Software, Programming Languages, etc. — you need to have some understanding of the technology and lingo here — the sections depend on the client's expertise) and then list each assignment the person has done. There can be some creativity here if the person has been a contractor forever. I also list achievements as in any other resume. For these folks, most are fixated on the version numbers and technical details — and you must include much of it in your resume — or they will not be happy with it. For both managers and lower level folks, you need to highlight certifications as well in the resume. Degrees are also important. In many cases the difficulty I find in writing IT resumes is the person is more into the details of what they do — rather than the value of what they do is to the prospective employer. I find the following questions help ascertain the value. I find most IT folks can answer these questions— and they do help in developing their resumes. For each job answer, I ask them to answer this for the top jobs they did in the position. I ask this for most IT folks — except if they are already at the executive level). These are the typical questions I ask my clients, which really helps when doing IT resumes. It is very directed, which IT folks need. I have used other questionnaires for technical folks but I find the answers to the questions above get me 80-90% of the technical information I need. Note: If the client cannot answer the dollar value questions or why the project was important, I immediately know they are not ready for management and I write a highly technical resume. The average professional resume writer, according to this year's survey, is a female small business owner (61 percent are self-employed full-time; 23 percent part-time) who has been writing resumes 10 years, on average. She works from home and meets with clients mostly in person, although she also works with some clients virtually. More likely than not, she is certified as a resume writer. The typical resume writer charges $81.50 per hour -- but more important, she charges an average of $279 for a resume. Spending approximately 20 hours per week on client consultation, research, and writing, she writes an average of four resumes per week. Our analysis of the industry finds that there are approximately 3,500 to 4,500 professional resume writers in the U.S. (Although there are approximately 6,000 firms nationwide offering resume writing services, this figure includes companies such as Kinkos and Copymax, both of which offer mostly resume typesetting). Despite increasing awareness of the four major professional associations (Career Masters Institute, National Resume Writers' Association, Professional Resume Writing & Research Association, and the Professional Association of Resume Writers and Career Coaches), it appears as if fewer than one-half of all resume writers belong to an association (although those who do belong to at least one association are very likely to belong to more than one). Another interesting trend is the number of home-based resume writers who still meet with clients in person. The statistics remain virtually unchanged from the 2001 figures. At that time, only 13% of resume writers worked with clients by phone, fax, and Internet only -- in 2002, that increased to 15%; in 2003, it's 14%. It seems the access to technology is being integrated into the client management process -- not replacing face-to-face interaction. Are You Certified as a Resume Writer? Compare these results with the 2001 and 2002 industry survey results. We have launched an online survey to collect data for the 2007 Resume Writers' Digest 2007 Industry survey. If you are not subscribed to the Resume Writers' Digest newsletter and would like to participate in the survey, please e-mail me at RWDigest@aol.com and I will send you the link. An analysis of the industry in 2001 shows there are approximately 900 to 1300 professional resume writers, with up to 6,000 firms nationwide offering resume writing services (this includes companies such as Kinkos and Copymax, which offer mostly resume typesetting). The average survey respondent is a self-employed sole proprietor who works full-time (35-50 hours per week) from a home office. She (the respondents were overwhelmingly female) has been in business for nearly nine years. Her top challenges are sales and marketing issues, working with difficult clients, managing her time effectively, handling the "craft" of resume writing, and, of course, wearing the many hats required of r small business owner. Although there is a perception that resume writing is becoming "less local," just 13 percent of resume writers say they do business only by phone fax, and Internet. That's a lot of resume writers still meeting with clients in person. There is a good mix of newbies and veterans. The length of time an individual has been a resume writer averages out to 8.9 years, although responses ranged from 8 months to 22 years. Who is the typical professional resume writer? According to the survey? She (the majority of survey respondents -- and members of the professional resume writing industry in general -- are female), is a self-employed individual who has been writing resumes for 10 years, on average. Most work from a home office (67%), while another 6.5% have both a home and business office-based practice. She averages 21 hours of resume writing per week (including client consultation, research and writing). "Virtual" providers remain a rarity in the industry, with only 15 percent of respondents saying they work with clients exclusively by phone or Internet (a small increase from our 2001 survey results). Eighty-five percent of resume writers surveyed say they still work with at least some clients in person. Fifty-four percent of those who responded said they have achieved this credential. One significant item to note this year is that we have upped our estimates on the number of professional resume writers. While some sources list up to 6,000 resume writing "firms," these numbers include copy shops which provide resume typesetting services. We believe a closer estimate is that there are between 3,500 and 4,400 resume writers in the United States. What to charge clients is often a hot topic of debate among resume writers. The survey provides some interesting answers. The "average" resume sale among respondents was calculated to be $245. I'll report on the 2003 and 2004 industry survey results in a future post. A few bad apples are creating problems for legitimate resume writers who do business online. Yet another example of this is a scam warning posted on the Rip-off Report website. A few months ago, I came across the "Best 10 Resume Writers" website, and it piqued my curiosity because I thought -- "Hey, I'm bound to know a few of these folks!" The site purports to offer "independent reviews of resume writers by Stanford Writing Institute." In reality, there is no such organization (and, as evidenced by similar sites, "Top Choice Resume Writers" and "Top 10 Resume Writers"), they exist only to promote the services of a true resume mill that also goes by several different names, including Resumeprowriters.com, ResumespoweredbyHeadhunters.com, and Resumeprimerwriters.com. With packages starting at $79 (including a $129 deal for executives! ), you can imagine that quantity is more of an emphasis than quality. I'd love to hear from any of the resume writers listed -- including whether you can track an actual customer to these ratings (or if they just made up the reviews based on information on your website and what action, if any, you're taking to remove your name -- and reputation -- from being affiliated with these sites. This blog post draws on the previous tips in "Three Ways to Get The Most Out of Now." Get ready the night before. Completing a few simple tasks before you leave the office can help you get started faster the next day. Write a "to do" list for the activities you need/want to accomplish the next day, and number them. Clear off your desk, and assemble the resume projects you have to write the next day. Make sure you have everything together so you'll be able to get started right away. Accomplish one task for your project. If you're having a hard time getting started, tell yourself that you'll just write one section -- for example, the Education and Affiliation section. The satisfaction of getting one thing done can spur you to do one more section. Do just one more thing. At the end of a long day, faced with a long to-do list for the next day, can you look at the list and find one more short task? If you get in the habit of working until you are finished -- and then finding one more thing to do, those little things will add up! Identify your time-wasters. We all have things that kill our day ... unintended interruptions, a short web-surfing session that turns into an hour. Think about a typical day and see where you typically waste time. For example, if you tend to do a lot of research in support of a client project, you might be "over-researching." If you find this to be a problem, use a kitchen timer, and set it for a pre-defined period of time, say 15 minutes. If you haven't found enough information in 15 minutes, you can either quit, or set it for 5 more minutes. What would happen to your clients if you died? It's a morbid thought to be sure. But with last week's tragedy in Omaha -- and the recent death of a mental health therapist I know -- it got me to thinking again about how we have a responsibility to our clients to set up a "buddy" system and prepare a professional will. What if you didn't die? What if you just got sick or disabled? While it's difficult to think about, the reality is that the resume writing industry has lost some members in recent years. And it's prudent to take steps now to help your clients in the event that you're not able to. First, start by identifying a short list of colleagues you can trust to make decisions for you. Each "emergency response team" member needs to agree to be your buddy. Make sure that at least one of the buddies is close enough to you that he or she would be notified quickly if there was an accident or illness. This individual would, in turn, notify the other buddies. A family member or friend needs to know your passwords and have access to your files and office (including a key, if necessary). Taking an hour or two to develop your professional will and pick your buddies will save your family -- and clients -- a lot of trouble and heartache in the future. I've written two editions of "Write Great Resumes Faster" and I still continue to collect ideas for how to produce effective resumes in a shorter amount of time. Here are a couple of ways to help you improve your productivity, without sacrificing quality. Write the most difficult resumes first. If I have two resumes to write, and one is for a sales professional and one is for an IT analyst, I'd like to write the sales one first, but I make myself start with the technology one. We tend to do what we like first, yet the resumes we find the most difficult to write often require the most creative energy. I often find myself overwhelmed by some projects, and procrastinate getting started because I'm not confident I can put together an effective resume for this particular client. I need all my mental energy to tackle these projects. If you find yourself consistently flummoxed by a certain career field, however, it might be time to team up with a colleague to refer those projects out. Create a regular writing area. When you use the same place to write each day, your mind and body become trained. When you set up in that particular place, you can focus on the task at hand more quickly. I write best sitting on the floor of my office in front of my space heater -- all year long. I can't write when I'm cold, and I have a lap desk to make the writing more comfortable. When I get down on the floor, the words just seem to flow naturally. In the same vein, I don't recommend writing in bed. For one thing, when I get into bed, I aut0matically feel tired. Second, it's important to separate your work area from your personal area. Writing can be stressful, and writing where you sleep can make it difficult to get to sleep when it finally is time to put the pen down for the day. Get a focus on your focus. I have a mild form of attention deficit disorder. I think mine is "environmentally based" -- that is, it's developed because of being self-employed. When you constantly switch between dozens of tasks in a day (client management, accounting, IT guru, collections specialist, etc. ), distractability is inevitable. Breaks in concentration can be caused by internal or external interruptions. Minimize external disruptions by closing your e-mail program and turning off the ringer on the phone, and shutting the door. Internal distractions are harder to shut out. I sometimes get distracted by all the other stuff I should be doing. One option is to do that other task right now ... or write yourself a reminder note and do it later. You have to figure out what works best for you. There are lots of reasons why I work from home. The short commute. Not paying a landlord and a mortgage. A fully stocked fridge, and not the dorm fridge I used to have in my old office. Getting my laundry done in between resume projects. Another big reason is that I live in Nebraska. If you look at the map above, it's the state just above all the pink stuff in the middle of the country. That wintry mix is headed our way, with a mixture of freezing rain, ice, sleet, and snow expected for tomorrow. In the first eight years of our business, it would have been an excuse to call into the voice mail messaging system and record an "out of the office" greeting. Tomorrow, I'll head downstairs in my PJs and slippers and put in a couple of hours of work before donning my boots, gloves, and hat and heading outside to fire up the snowblower. It's the antithesis of the late August days when I sit outside on my back deck with my laptop and soak up a little sun while little kids splash and play in the neighborhood pool across the street. I subscribe to About.com's Job Searching e-newsletter because I'm always looking for resources I can recommend to my clients ... or to you, wonderful readers. "Start a Job Search System." Oooh, I thought. I always recommend an action plan for my clients -- maybe here are some new resources. It's important to have a system in place when you start a job search. Start by searching the top job sites, your local job sites, and the job sites that focus on your career field(s) of interest each and every day. Unfortunately, if you (like I did) clicked through to the link, her "job search system" involved searching online career sites, and using online career agents. Not exactly what I'd consider a "Job Search System." Do you encourage your clients to prepare a "Career Business Plan"? Perhaps you should. 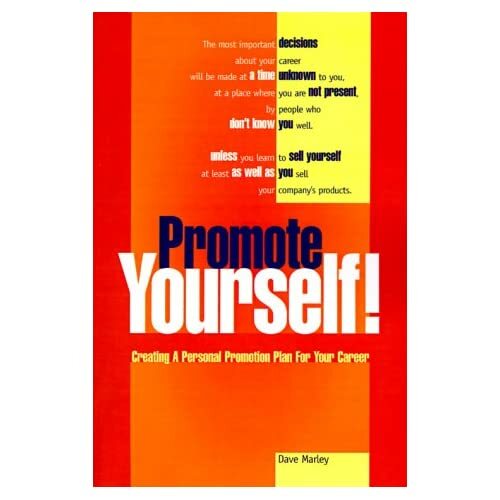 "In all too many cases, the most important decisions about your career will be made at a time unknown to you, at a place where you are not present, by people who don't know you well," writes Dave E. Marley, author of "Promote Yourself! Creating a Personal Promotion Plan for Your Career." (Published 2002; currently out of print). Marley writes that personal promotion efforts must have more than one focus; it's not enough to promote yourself inside your current circle or the company where you are currently employed, because companies fail, merge, and redirect themselves and their employees to different markets and industries. The book defines professional equity as the career value you own -- your reputation, skills, experience, and contacts. Help your clients by emphasizing building "professional equity" -- those assets that establish your unique value. 73% of managers say their company typically looks at the current employee base first when conducting a job search before considering any other candidates. 33% of managers report they found their jobs through networking. 41% of workers expect to stay with their current employer for more than six years. 33% of U.S. organizations lose 10-25% of their new hires within the first year. 11% lose up to 50% of their new hires within a year. 41% of U.S. workers say they think a workplace romance would jeopardize their job security or advancement opportunities. 35% of U.S. workers who report they have had a relationship with a co-worker. (1) Decide whether deferring or accelerating taxable income to 2007 or 2008 will help. If you anticipate being in a higher tax bracket in 2007 than in 2008, you may want to delay the receipt of taxable income, if feasible, until next year. Consider whether deferring income until 2008 is economically sound under your particular circumstances, or whether delaying income could help prevent you from losing lucrative tax breaks that could be reduced or altogether eliminated as your income level rises. On the other hand, it may be more beneficial in your particular situation to accelerate income into 2007, rather than deferring it until 2008. For example, one issue to consider is whether you need additional income this year in order to take advantage of certain offsetting deductions or credits that are set to expire before 2008. (2) Decide whether accelerating or deferring deductible expenses will mean overall tax savings. Deduction planning can be complex. Remember that your ability to take deductions depends on your income level and filing status, as well as whether you plan to take the standard deduction. For example, if you are well within the standard deduction limit for deductions, postponing expenses that would generate deductions until 2008 usually makes sense. (4) Take control of passive gains and losses. The tax law only permits the deduction of losses from passive activities to the extent of passive activity gains. Any excess loss is suspended and carried over to a year in which offsetting passive activity gains are realized or the activity that generated the loss is disposed of. Any business activity in which the investor does not materially participate and most rental activities fall into the passive activity category. Making certain that no passive activity loss goes unused in 2007 may require certain action on your part before year's end. (5) Review your investment portfolio. Examine your investments to determine whether your tax position would benefit from selling certain stock or securities you own or from holding onto them longer. (6) Estimate your adjusted gross income. Estimating what you anticipate your adjusted gross income (AGI) to be for 2007, as well as 2008, is important because many tax breaks are tied to, or limited by, what your AGI is, and thus what tax bracket you fall into. For a good picture of what your 2007 AGI may look like, review your 2006 income tax returns and look at your 2007 pay stubs. For example, AGI limits overall itemized deductions, any itemized medical deductions and your "miscellaneous" itemized deductions, as well as your ability to take education credits, take a full deduction for your charitable contributions, or execute a Roth conversion. (7) Watch out for any underpayment of estimated tax. Year-end tax planning also requires getting ready for January 15, when the fourth quarter estimated tax payment for 2007 is due. Falling short on estimated tax can mean a hefty interest penalty charge. For 2007, however, underpayments of up to $1,000 avoid the penalty this year. If it looks as if you will pay an estimated tax penalty, increasing tax withholding on your wages for the rest of the year will help make up the difference. So can having 25-percent withholding taken on any year-end bonus and other "supplemental wages" paid to you before year's end. (8) Give the gift of money ...or stock. You may be in a position to reduce your 2007 income by gifting money to family and friends. For 2007 and 2008, you can gift up to $12,000 per person, per year, without paying any gift tax on the amounts transferred. Married couples can gift up to $24,000 per person, per year without paying tax on the amounts transferred. If you give stock, however, remember that the recipient takes over your tax basis and would be required to pay capital gains tax when the stock is sold. With a zero-percent capital gains rate for lower-bracket taxpayers starting in 2008, however, that might just add to the benefits of gift giving at year end and selling at the start of the new year. (9) Make a charitable contribution. If you plan on making a charitable contribution in 2007, remember that cash donations of any size must be substantiated by proper paperwork, which can include either a cancelled check or a written note from the charity indicating the amount, date and name of the charity. They were moms, shopping for gifts for their children. They were aunts, stopping by the mall on their lunch hour to buy boots, because it's going to snow tomorrow. They were Von Maur employees at the customer service counter, wrapping gifts to go under the tree. And then gunshots rang out. And when it was over, nine were dead, including the 20-year-old killer who had come to the mall to die, because he wanted to "be famous." He had recently broken up with his longtime girlfriend, but the trigger today was because he had recently been fired from his job at McDonald's. We don't yet know the names of his victims, but the mom of one of my friends is a survivor. She worked on that floor of the Von Maur department store at Westroads Mall, and she saw the gunman kill people, randomly shooting people... including some of her coworkers. How do you make sense of this? The stories are incongruent. The pianist at the upscale store continued to play even as the first gunshots rang out. Some people walked toward the sound of the gunfire, not believing it was someone shooting. They thought it was construction noise, or balloons popping. The stories of heroism, many of them Von Maur employees, or employees of JCPenney's, next door. Clerks who ushered customers to safety in storerooms, or fitting rooms. Pray for them, please. For the victims. For their families. For those who witnessed these horrific events. And for the first responders, who rushed to the mall from every corner of the city and county, who ran in with guns drawn to face an unknown assailant. Pray for us. Every December, I attend a tax workshop geared towards self-employed small business owners. I came away with some tips that I thought I'd share. Your choice of business entity can have a big impact on your taxes. A sole proprietorship is the easiest to setup. You'll file a regular tax return with a separate Schedule C.
The Limited Liability Corporation (LLC) offers some limited protection for your personal assets. It's the ideal business structure if you have partners -- it's easy to get into and easy to get out of. Is record-keeping the bane of your existence? Check out this link for a free "Simple Start" version of QuickBooks (Windows only). It's a good way to get into a computerized accounting system (if you've been keeping those records by hand or the "shoebox" method." If you'd like the flexibility to access your accounting information from anywhere, QuickBooks also offers an online version, for about $20/month. It can even import your online banking records and allow you to accept credit cards online. If you buy a vehicle for your business, you may be eligible for a tax deduction. But make a good economic and personal decision (not just based on the tax deduction) -- get the vehicle that works for you. If you are considering buying a new vehicle, consult your tax advisor BEFORE you go shopping. Do you track your mileage when you drive from your home-based office to the office supply store, the bank, and the post office? How about when you run these errands from work? You should be! The deduction is 48.5 cents for 2007, and 50.5 cents for 2008. It's an 8-mile round trip for me to go to the post office -- so I am able to deduct a little less than $4 per trip using the "Standard Mileage Rate" deduction. If you use your car more than 50% exclusively for business, you may wish to use the "Actual Expense" method. Consult your tax advisor for details. Do you pay for your own health insurance? Did you know it may be 100% tax deductible? Have you considered a Health Savings Account (HSA)? I got mine through eHealthInsurance, but shop around for rates. Get a Health Insurance Quote! Your pretax contributions to an HSA will save you money, and you can roll over your account from year to year. Also, when you turn 65 and are eligible for Medicare, you can convert your HSA account to a retirement account, and not pay tax on distributions. And check out this blog post for more tax strategies for 2007. If you're interested in tips on how to attract media publicity to your resume writing or career coaching business, then read on! One great way to attract publicity is to sponsor an event, such as a career-oriented workshop. 1. Once you've set the date and time, invite the appropriate representatives from local television news programs, daily newspapers, industry or trade publications, etc. 2. Determine in advance if media will be invited as guests to the entire event or just a particular segment of it. If media are invited to cover only a specific aspect or portion of the event, be clear about this in your invitation. Make sure to allow plenty of time for media members to arrive so they will be able to capture the action and key aspects of the event. 4. Ask the media in advance what their deadlines are, and keep those in mind when creating the event schedule. For example, if an event is to be broadcast on the evening news, the film crew and editors will need time to create an appropriate clip. 5. Prepare media kits ("press kits"). This can include biographies of you and any other speakers; background information about the event, host organization and sponsors. Be sure to keep track of media no-shows so that a press kit and follow-up correspondence can be mailed to them. — Excerpted from "Meetings and Conventions" magazine. Wendy Enelow has announced that she is leaving as Executive Director of the Career Management Alliance, effective Dec. 31, 2007. Wendy was the original founder of the Career Masters Institute (CMI), which was acquired by Kennedy Information. Wendy had returned to helm CMI in January 2007. I love the fact that Career Masters/The Alliance and I have perhaps, to some degree, helped you to succeed in your businesses and your careers. The satisfaction I get when I hear how well one of our members is doing really does make me feel great. I find tremendous personal pride in knowing how far our industry has come over the past 20+ years as I have watched my colleagues grow, expand, launch new ventures, create new opportunities and so much more. What a magnificent group of people you all are and what a vibrant community we have created. Liz Sumner will be taking over as Executive Director, effective January 1, 2008. Bonnie Partridge will continue as The Alliance's Membership Services Director, while Liz will be taking over the E-Bridge, coordinating the associations' weekly teleseminar and webinar programs, responding to member inquiries, exploring new member opportunities and developing new programs. Enelow says she will continue to write, teach, and serve clients. Is your client prepared to answer these eight questions designed to assess his or her teamwork talents? Describe your relationship with your supervisor, your peers, or your subordinates (if applicable). What would your present supervisor say about you? How about your peers? How about your subordinates (if applicable)? What was the most difficult work relationship you encountered during your last job (or career)? How did you handle this difficulty? Without using names, describe two or three of the worst people you've ever worked with. Why were they so hard to work with? How did you manage to work with them? What do you look for in a supervisor? In co-workers? What kind of supervision do you need? How did your supervisor give you feedback in your last job? How did your peers assess your work? Give me an example or two of your teamwork skills. -- Reprinted from "50 Great Interview Questions," Richard G. Ensman, Office Solutions magazine, November/December 2006.